We’re only 20 games into a 162-game season but even some Yankee players admit that this weekend’s series with the Red Sox is pretty important. The Yanks are 8-12 and have lost six in-a-row, their longest losing streak in almost two years. They are also 5 ½ games behind first-place Boston in the American League East and of course just last weekend lost all three games at Fenway Park. Some not-so-smart Yankee fans are starting to panic but its way to early and once they get healthy the Yanks will be fine. Track & Field may be relatively obscure to most but even casual sports fans have heard of the Penn Relays one of the premier outdoor track events in the country and held at the University of Pennsylvania. At the 113th edition Thursday a quartet of girl’s from Southern Regional High School captured the Distance Medley Championship of America. Jillian Smith, Jessica Bergin, Chelsea Cox and Danielle Tauro finished first in just under 11 minutes and 46 seconds…11 seconds ahead of second-place Ramapo. The winning time was the fifth fastest ever run in the event. Central Regional wrestling standout Nick Tenpenny has signed a National Letter of Intent to attend and wrestle at the University of North Carolina. Tenpenny placed third in the state championships last month and finished his high school career with 115 wins. Speaking of Central…the high school Key Club will sponsor a benefit basketball doubleheader next Friday (May 4th) for 12-year old Michael Drumright, a 6th grade student at Berkeley Township Elementary School. Michael was recently diagnosed with a rare form of cancer and the proceeds from the basketball game will help with anticipated high medical costs. The doubleheader will find members of the Berkeley and Howell police departments playing in the first game while teachers from Central Regional High School and Berkeley Elementary play in the second game. For information you can call the high school at (732) 269-1100.
and you can register at the post office today or call Janice at (732) 793-0377. In the workplace the only constant is change and I’ve seen plenty of it in almost 28 years at WOBM. I’ll be the first to admit that I have not always welcomed change and have argued and lobbied against it but at the same time I’m smart enough to know at the end of the day you either need to accept it or move on. A big part of the change is the male-female ratio of staff members. At one time our building was referred to as a big boy’s club and office and water cooler conversation was dominated by sports, politics and the like. When you needed something physical done there was no shortage of candidates. Times have changed here….I kid around and say we’re becoming a testosterone-free workplace. When it comes to full-time employees the ladies now outnumber us men 2-1 and when you walk around the building the talk is always about American Idol, celebrity gossip and fashion. At times I have to search out someone for a little baseball chatter. 3. They’ve actually fixed up the women’s bathroom with shelves, pictures and decorations and promise to work on the men’s room next. 6. When you’re sick they not only ask how you’re doing but care about how you feel. One other thing. Some of the ladies don’t even need to call for help when the water bottle has to be changed. So here’s one guy who has accepted that it’s a different world today….equal pay for equal work. Welcome ladies to WOBM ladies…darn glad to have you. Merely mention the word “senior citizen”…especially in Ocean County and you’ll get plenty of mixed reaction. However I find that next to young children seniors may be the most interesting age demographic and they are often as different as night and day. Tuesday at the Ritacco Center 1160 WOBM AM hosted their 7th annual Senior Lifestyle and Health Expo and a few thousand people came out to the free event, which featured many shore area business that market and service those in their golden years. There were health screenings, food tastings, seminars, prize drawings, entertainment and more and I did most of the on-stage announcing during the day. Many of the people know me as we’ve bumped into each other at this and other events over the years. I’m often amazed at their recall as they remind me of conversations we had a year ago and inquire about my children and family. You may remember years ago Art Linkletter hosted a show called “Kids Say the Darndest Things” which I loved because he revealed how brutally honest kids are. I’m not so sure that you couldn’t have a program today…”Seniors Say the Darndest Things” for the same reason. Many of the older folks will tell you just how they feel…they’re not concerned about being politically correct and was one said to me Tuesday…”what do I care what people think…how much longer am I going to be around anyway.” One lady came up to me and paid me a compliment on losing weight from the last time she saw me….however before I could say thank you see added that I was really looking bad and it’s a good thing I went on a diet. You have to admire the candor. Let’s be honest….seniors (and you know who you are) can be tough. I mean we were playing “free” bingo games with prizes and some complained about a variety of things from having to fold back to the cards to the fact that didn’t like a prize…even though it was free. I heard it all yesterday...complaints, suggestions, praise….you name it….they said it. Most of what I heard made me laugh and you can’t let everything our seniors say get to you. After all…if we’re lucky enough…we’ll all be there one day. Just wondering the official time that the first person complained Monday of how hot it was…the same person is likely to complain about the cold later in the week. Anyway I’m back on an old kick today, one that won’t do me or you any real good but I will feel better. It’s about service or the lack there of in many cases and the failure of many to recognize or care what it does to impatient people like me. Case in point…last week my wife and I visit the drive thru of a very convenient local bank. Each lane has two spots where you can do your drive-thru banking which seems like a good thing and is in most cases. However in this instance the person in the first spot (in my lane of course) not only has a long transaction but they need forms from the teller and then have to fill them out. Unless it’s something simple this needs to be the case where the person is instructed to leave the line and return because what they did was hold everyone up for what seemed like an eternity. I know that patience is a virtue but…. How about when you try and check out at a supermarket or retail store and you’re held up because of a price check for one item. You could build yourself into a rage while you wait and when the item in question turns out to be 79 cents don’t you just wonder why they didn’t give it to the customer for free….after all it’s their fault it didn’t scan correctly. I have nothing…let me repeat northing against the US Postal Service. I’ll also be glad to pay two more cents for stamps but you need to pay a bit more attention to taking care of customers. Long lines and slow-moving representatives who seem never to be in a hurry don’t add up and are all too common. Overall the postal service does a very good job but they could be more understanding to the needs and time pressure of customers who come into their branches. Finally to all of you who continue to pull up to the drive thru of a fast-food place with no idea what to order when all I want is something to drink….get out of my way. It’s amazing what a few nice days will do for everyone as the bright sunshine and warm weather was a welcome relief and as I predicted signs of spring were everywhere. Homeowners took advantage with many working in their yards and on their lawns as it seemed like everyone was outside. Boaters were out on the Toms River, the Lakewood BlueClaws had their biggest crowd of the season Sunday, visitors and locals headed to the boardwalks. That redness isn’t blushing….it’s sunburn. By the way don’t be in a panic yet to get all your summer clothes out…we’ll be back in the 50’s for the middle and end of the week. Actor Anthony Hopkins has played a lot of characters in his long movie career but too many will be best known for his roles as Dr. Hannibal Lecter. Hopkins stars in “Fracture” which debuted this weekend and I think it’s his best performance since “The Silence of the Lambs.” Hopkins teams up with Ryan Gosling in “Fracture” and the two give very good performances. Speaking of performances…Toms River’s Todd Frazier tied a couple of school records as Rutgers completed a sweep of the University of South Florida in Tampa, Sunday. The junior slugger hit an 8th inning homer which was his 14th of the season and 34th of his career…both equaling Scarlet Knights records. He now shares the career mark with his brother Jeff, who’s playing in the Seattle Mariners organization. I would not condone students walking out of school as a form of protest in most cases but give those at New Egypt High School some credit for their action this past Friday. They walked out of school towards the end of the day to protest voters rejection of the school budget earlier in the week. About 90% of the students in school left the building and walked onto the football field where they displayed signs and talked about how disappointed they were that voters defeated the budget which places programs in jeopardy. Administrators knew of the protest and generally praised the students for the way they handled the situation. I would agree and hopefully the attention the students attracted will show adults and voters that they very much care about their education and future. Officially March 21st was when spring arrived but realistically you can mark April 20th as the day when winter ended and spring finally sprung. I have marked that occasion by going sock less and many know that is the sure sign that we are changing seasons for the better. The declaration that winter is over is certainly welcome sight and comes at a time when many were beginning to suffer from a severe lack of sunshine. Just Wednesday I watched my daughter play lacrosse with most of the spectators wearing coats, gloves, and hats and wrapped in blankets. Now I’m looking forward to going to her game tomorrow with shorts and a tee shirt. The lousy weather we’ve been experiencing has a direct effect on the moods of many and the sun and warmth about to come our way will no doubt give most of us a badly needed extra bounce in our step. People will all of a sudden begin working in their yards, taking care of projects that have been put off. All those kids playing baseball, soccer, softball and lacrosse can do so without wearing under armor and sweat shirts. Visitors and locals will begin flocking to Seaside and Point Pleasant Beach with the boardwalks filled with the sites and smells that keep you coming back time and time again. Neighborhoods will be filled with kids playing outside and riding their bicycles while their parents take an after-dinner walk. The spring weather we’re about to enjoy is like a giant B12 shot…it just gives us a boost and will end the general malaise that I and many others have been experiencing. It means you can drive around with your windows open and you’ll see convertible tops down for the first time. Heading into today we have had only one day this entire month in which we topped the average high temperature for that day. That’s about to change….goodbye winter and hello spring. We’re darn glad to see you. It’s time to get a bit trivial for me after a week that’s been very serious and sad. It looks like this could be a fun season for the two major league baseball teams that call New York home. The Yankees and Mets might have pitching questions but so does everyone else and both teams have lineups capable of producing plenty of offense. Alex Rodriguez is off to a terrific start for the Yanks with 9 homers and 23 RBI’s in just 13 games. On the other side of town the Mets Jose Reyes has become baseball’s most exciting player and brings a joy and passion to the game which is often missing in professional sports today. Meanwhile in Philadelphia, where much was expected, Phillies fans are getting restless and their 3-10 record is the worst in the National League. Manager Charlie Manuel could be out any day now and his looking to get into a fight with a radio talk show host shows that the frustration is mounting. The high school baseball season has been plagued by bad weather and cancellations and there’s a long way to go. However already the Class A South race is taking on a different look then many expected. Toms River East and Toms River South were the co-favorites when the month began but it’s their cross-town rival who is making the most noise. Toms River North lost their season opener to South but has ripped off six straight wins since, including two over East. Jackson is also very much part of the mix and improved to 6-2 by beating the Raiders on Wednesday. Another good story is coming out of Barnegat where the second-year Bengals are 7-1 under Coach Tom Sutaris. Barnegat and Manchester are tied for the Class B South lead and play each other Friday. This Sunday McIntyre’s Pub in Toms River will host the 2nd Annual “Community Love Project” to benefit Big Brothers Big Sisters of Ocean County. The event runs from 2-8pm and will feature great entertainment, headlined by Big Baby Ernie. Tickets are just $10 and include food from Surf Taco, door prizes and all the entertainment. Proceeds will go towards Big Brothers Big Sisters community and school-based mentoring programs. You can call (732) 905-5349 for more information. Should be a really good time and it’s for a good cause. what happened in Blacksburg, Virginia isn’t even one you’d have in the very back of your mind…at least not before Monday. While there will be plenty of time for finger-pointing and blame the truth is that violent crime on college campuses is well below the numbers everywhere else. As a matter of fact the safest place in all of Los Angeles is the campus of the University of Southern California. As you get older you find that it’s harder to be shocked by anything. Many will tell you that after 9-11 there is nothing that can really make you say “I can’t believe it” because truly we can believe almost anything as the unimaginable keeps happening. But as long as most of us have a pulse we will be affected by stories like this. I watched and listened to a father being interviewed by CNN. His daughter was killed in the shooting and his comfort was the fact he had seen her perform in a dance exhibition the day before. Now he was trying to get the coroner to let him see her one more time and say goodbye. The day that doesn’t move me and bring a tear or two is the day I have given up completely…fortunately that day is not here just yet. Last year 86% of registered voters in New Jersey did not cast a ballot on voting day for school budgets and seats on the Board of Education and you can expect similar numbers today. Voters in Ocean County and throughout the state have the option of participating in the process and despite all the attention paid to education and spending most people will not bother to vote for a variety of reasons including apathy, frustration and laziness. Budget increases have been held down for the most part as school districts work harder and harder to present spending plans that are lean and mean. The public may still view them as excessive but the fact of the matter is that most of the figures in the budget are built in and not negotiable. Districts are trying different methods of achieving success including Brick Township which is offering residents a chance to not only vote on the budget but several other spending items being treated as separate items from extracurricular activities to roof repairs. Of course we in New Jersey still deal with the fact that property taxes fund education and while we’re told relief is on the way we don’t believe it. So as costs go up so do our taxes and many take out their frustration on the one day they can and automatically vote down budgets…it’s just the way it is. I’m encouraged to see many indications where towns and districts have been pro-active in seeking support of their budget. More and more superintendents and Board of Education members go around and speak to PTO’s and other groups, explaining the numbers and the process. Parents of school-age children are getting involved in protecting what they have and what they need to make their schools and district stronger. Here’s hoping that time and effort pays off. On an unrelated note I can’t let go by. Rutgers football coach Greg Schiano released highly regarded recruit Reggie Dixon from the national letter of intent he signed last month. The action came after ESPN reported that the Plainfield High School standout was found guilty last summer of two counts of aggravated sexual assault and had to register under Megan’s Law. Schiano said Rutgers was aware of the conviction when they recruited Dixon but would not comment on why they released him. You think it might have something to do with ESPN reporting the story, especially in the wake of what happened with the women’s basketball team recently? and that included every member of the Los Angeles Dodgers, who marked the occasion by honoring his wife Rachel in pre-game ceremonies. Robinson, a four-star athlete at UCLA, broke the color barrier with the Brooklyn Dodgers in 1947 at age 28 and just twenty-five years later he died after a long bout with diabetes. There seems to be several different accounts of his early days with the Dodgers and how he got along with teammates and opponents. There’s no arguing that what he endured was incredible and this was almost a decade before Rosa Parks, school desegregation and what many view as the early days of the civil rights movement. However Robinson was not only one of the most significant Americans of the 20th century he also must have had a pretty good sense of humor. As he left for Ebbets Field on April 15, 1947 he told his wife that in case she couldn’t pick him out on the field he was the one wearing #42. While New Governor Jon Corzine faces a long recovery from injuries that nearly killed him it appears that many residents of the Garden State are focusing on his breaking of the law by not wearing a seat belt. It’s likely that Corzine will receive a ticket at some point for the violation but clearly his near-fatal accident may actually have positive ramifications. The issue of wearing a seat belt should not be because it’s the law but rather because it can save your life and prevent the kind of serious injuries Corzine suffered. I would imagine that when he can the Governor is the obvious choice to become a spokesman for seat belt safety because he learned his lesson the hard way. Let’s use this as an example to others, especially young drivers and passengers. Up until now I though the JFK assassination was the biggest conspiracy theory case of my lifetime. Now I’m ready to toss that out as insignificant compared to the conspiracy which leads us to having no simple cure to the common cold. Think of it, we have stamped out diseases that used to kill thousands if not millions, we are making great progress when it comes to cancer and other illnesses that were always fatal but we can’t come up with something that alleviates all the symptoms of a cold or simple virus? depending on your symptoms….there’s suppressants, expectorants, decongestants, sugar free, alcohol free, daytime, nighttime…it’s easier to shop for a car. Forget about cough drops….they have a whole area for those. You want some kind of pills…..brand after brand promises relief and you could get a headache reading the boxes. Does it really matter which one you try because many people, including doctors, will tell you that the old standbys work just as well. Get plenty of rest, drink liquids and maybe some old-fashioned chicken soup….when it’s time for the virus to leave your system it will. Yet there I am with several others purchasing something I know is probably not going to make a difference. Could you possibly imagine what is spent on cold relief medications each year? there’s not something simple which cures the sore throat, coughing and sneezing? Not medications that tell us they work but ones that actually do…in a timely fashion. Enquiring minds would like to know. You’ll have to put up with me again today talking about the Don Imus-Rutgers Women’s Basketball controversy because everywhere I went Tuesday that was the topic of conversation. Remember the opinions you are about to hear are my own and if you feel I’m off base then blame me…although you could certainly ask the management of WOBM to fire me or suspend me for two weeks (hopefully with pay). Imus on his nationally syndicated morning radio show last week made a derogatory and offensive comment about the Rutgers Lady Knights. It was a failed attempt at humor in a live, unscripted bit and I’m not here to defend what he said or make light of it. However where this story has gone since would make you think that Imus is a criminal who is responsible for the racial divide in this country. Tuesday Rutgers players spoke publicly for the first time during a news conference in Piscataway and announced they had agreed to Imus’ request for a private meeting at which time he can directly apologize to them…something he’s done numerous times on the air over the last several days. That meeting will probably take place next week and the players will reserve judgment on whether Imus should be fired until after they hear from him. Many others are calling for his immediate dismissal, which I think is ludicrous. While his comments were over the line and deplorable he did not break any laws and the radio airwaves are used for much more mean-spirited and irresponsible comments on a daily basis. It is not up to anyone but those who employ him to decide whether a firing is warranted. As it stands now he’ll begin a two-week suspension on Monday and for those who think that’s no big deal then you don’t know radio. We are just beginning the spring ratings period and Imus off the air for two weeks will have an impact on the stations he is heard on. Meanwhile Staples and Proctor & Gamble have pulled ads from his show and others might follow. It’s no different than with this station….if advertisers don’t use us and we don’t have listeners than things sort of take care of themselves. The beauty of radio is it’s free and you have the ultimate say in what stations you listen too. Despite the agendas of many the bottom line here is that the ONLY thing that matters is whether or not the offended basketball players decide to accept the apology of Don Imus. Everyone else would be better off focusing there energy on solving the world’s problems in a more positive manner. It seems like everyone is tossing in their two cents worth on the offensive comments made by syndicated radio talk show host Don Imus about members of the Rutgers women’s basketball team. While I’m not here to defend Imus count me among those who don’t thing he should be buried either. In case you have not followed the story it all centered on an on-air exchange between Imus and one of his sidekicks on this popular national morning-show the day after Rutgers lost to Tennessee in the National Championship game. At one point Imus said “that’s some nappy-headed hos there, I’m going to tell you that” in reference to the Scarlet Knights. It was an attempt at humor and not one of the better ones in his long career. The reaction to the comment was swift and somewhat expected although I don’t think anyone would have imagined it would become this big of a national story. Minority groups and leaders called for Imus to be fired and his subsequent apology was not very well received and accepted. He agreed that the comments were in poor taste and while he seemed sincere the apology only fueled a growing fire. Among those rallying against Imus was the Rev. Al Sharpton and Monday Imus appeared on the syndicated radio program hosted by the black leader. He admitted the joke went way too far and tried to defend himself by saying he’s a good person who made a big mistake. Imus acknowledged that times are different and promised that he will be more careful with his words in the future. and others who want him taken off the air, which will be the case for the next two weeks. CBS Radio and MSNBC, which telecasts the show, have announced a two-week suspension beginning next Monday. Imus is certainly not for everyone and his show is not one you would want your young children to hear. 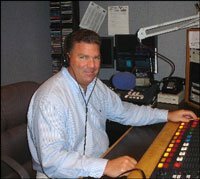 But make no mistake, he is not a Howard Stern-like shock jock but rather an intelligent personality who regularly lines up the best guests heard anywhere. He’s also used his air time to raise millions of dollars for various charities, most associated with children. That does not give him a free pass for what he said about the Rutgers women but how about a mulligan?